For over 14 years, Hatton’s hardwood Floors has installed HARDWOOD, LAMINATE, VINYL TILE, AND VINYL PLANK floors for residential homes and commercial spaces in Calgary and surrounding areas. Our talented, experienced team uses superior products and equipment to make sure our customers are completely satisfied. You can expect free, no-pressure consultations and accurate floors estimates. Our team is punctual and reliable. We pride ourselves on our housekeeping and the care of our clients surroundings. We specialize in quality products with a focus on the latest trends, the best products available in the market as well as the latest technology in installation, sanding and refinishing. The nightmare of cleaning dust after installation is over! We care enough to use the Oneida Floor Vac Sanding/Dust Containment System for virtually dustless floor sanding. Ours is the only dustless sanding system of its kind in Alberta, as featured on the TV show “This Old House”. We are confident that you will be pleased with our services. If our customers are not totally satisfied, we will do whatever we can to remedy the problem. We believe our customer is always right. We offer a full ONE-YEAR GUARANTEE against problems which may have occurred due to installation. 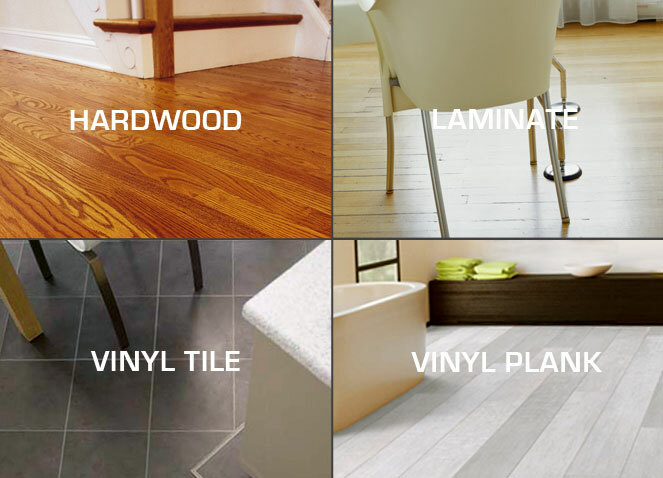 We offer expert advice and products for your flooring projects, no matter what your needs are. We offer a great variety of floor covering solutions including hardwood, laminate and vinyl. We also provide sanding and refinishing services for existing hardwood floors.